Deborah Gonzalez, running as a Democrat in the 117th, has raised $56,896, including a $5,000 loan. She had $36,264 unspent as of Oct. 30. Tom Lord, running as a Republican in the special election for House District 119, has raised $59,325, including a $20,000 loan he gave his campaign. He had $13,788 on hand as of Oct. 26. Steven Strickland, a Republican running in the 119th, has raised $9,910, including a $9,000 loan he made to his campaign. He had $3,174 on hand as of Oct. 29. Jonathan Wallace, the sole Democratic candidate in the Special Election for the 119th, has raised $41,592, which does not include any loans. He had $24,787 on hand as of Oct. 29. Gaines has raised $36,007 more than the other five candidates combined, if their loans are removed from the totals, and had $53,562 more in unspent money in the last weeks of the campaign than all five other candidates combined, including money those candidates had loaned themselves. These figures come from the Campaign Contribution Disclosure Report each candidate was required to file by Oct. 23, with a grace period until midnight on Oct. 30. 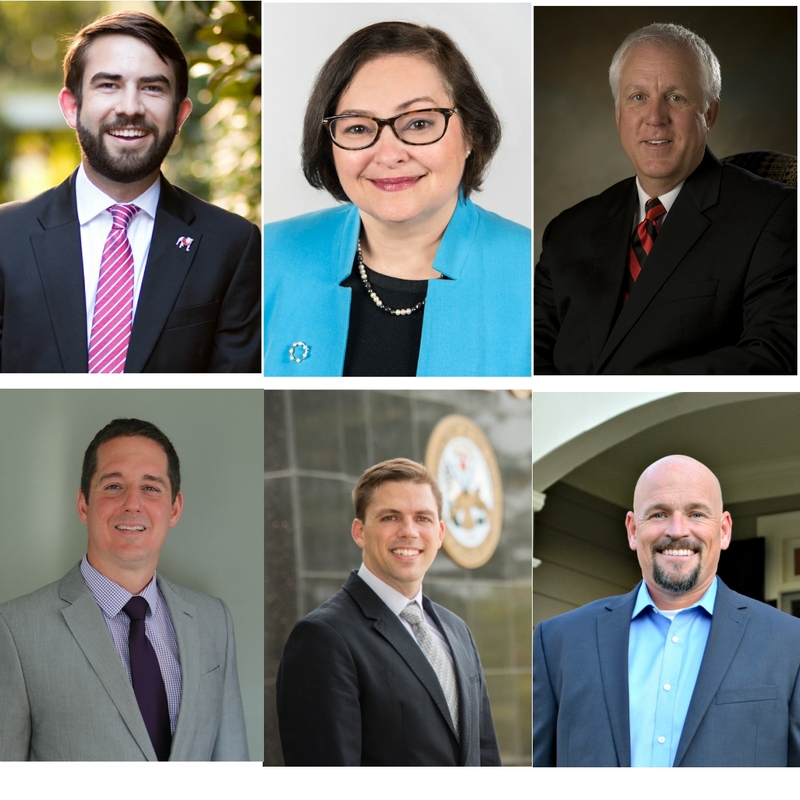 All six candidates filed on Oct. 30. Gaines had raised $66,136 by June 30 of this year, which was before Regina Quick stepped down from her seat in the 117th to assume a Superior Court judgeship for Clarke and Oconee counties. Quick, a Republican, was expected to give up her seat even if she had not been appointed by Gov. Nathan Deal to the Superior Court, and she is among the political figures who has given to Gaines’ campaign. In addition to the $2,600 from the Friends of Regina Quick, Gaines received $1,500 from the Committee to Elect John Meadows in Calhoun, $1,500 from the Committee to Elect Richard Smith in Columbus, $2,500 from the Committee to Elect Terry England in Auburn, and $2,500 from the Friends of John Burns in Springfield. Gaines received $2,600 from the Georgia House Republican Trust of Monroe, $1,000 from Powell for Representative of Camilla, $2,500 from Ralston for Representative Committee of Blue Ridge, $2,600 from the Republican State Leadership Committee of Cedartown, and lesser amounts from other candidates. Gaines received $1,000 from Caterpillar Employees PAC, $1,000 from Coca Cola Bottling Company United of Birmingham, $500 from the Committee for Responsible Health Care Policy of Atlanta, and $500 from Connect South for a Better Georgia and $1,900 from Connect South LLC, both of Atlanta. Gaines lists $250 from Delta-PAC of Atlanta, $1,000 from the Georgia Association of Realtors PAC of Atlanta, $1,000 from the Georgia Council Political Affairs Council Inc. PAC of Atlanta, $2,600 from Northeast Sales Distributing Inc. of Winder, $1,000 from Public Knowledge Inc. of Athens, and $500 from United Health Services of Georgia PAC of Norcross. Gaines recorded contributions of $1,600 each from his parents, Vicki and Joe Gaines, 250 McWhorter Drive, Athens. Gaines only lists a Post Office box as his address on his Campaign Registration Information, but Spokeo People Search indicates he lives 250 McWhorter Drive. Gonzalez reported receiving $1,000 from Daniel Castan of Atlanta, $1,000 from the Clarke County Democratic Committee, $2,000 from Georgia’s Win List of Atlanta, and $2,600 from the Latino Victory Fund of Washington, D.C. Many of Gonzalez’s contributions are for $117, since Act Blue, the Democratic donation tool, used $117 as a starting point in reference to the Georgia House District number. Gonzalez had raised $7,451 in the period ending June 30, 2017. Gonzalez had decided to challenge Quick in the May 2018 primary before Quick stepped down from her seat. Gonzalez did not fill out the page on her Compaign Contribution Disclosure Report listing the source of the $5,000 loan. Lord received $2,600 from Blasingame, Burch, Garrard and Ashley PC in Athens, $1,000 from William Bowen Jr. of Tifton, $2,600 from Clifton Crews of Watkinsville, $1,000 from Doug Dickens of Bishop, $1,000 from William Douglas of Bishop, and $2,008 from Trey Downs of Bishop. Lord’s campaign statement lists contributions of $1,000 from Nancy Eades of Watkinsville, $1,000 from David English from St. Simon Island, $1,000 from Amry Harden of Watkinsville, $1,000 from Melody Higginbotham of Athens, $1,000 from Peterman Painting of Athens, $1,000 from Thomas Rogers Jr., of Athens, $1,000 from Service Corporation from Houston, and $1,000 from Robert Sinyard of Athens. Lord lent his campaign the $20,000 on Sept. 13. As of the filing on Oct. 26, he had not paid himself back for any part of the loan. Wallace received $1,000 from the Committee to Elect Bob Trammell of Luthersville and $1,000 from the Committee to Re-Elect Spencer Frye of Athens. He received $2,600 from Brandon Beacher of Atlanta, $2,600 from Jeffrey Chang of San Francisco, $2,000 from John Gregg of Watkinsville, $1,500 from Jeffrey Krug of Marietta, and $1,000 from Purewal Semmy of San Jose. Wallace is a software developer, and several of his larger contributions came from people in that field. Wallace recorded many donations at $119, set up as the starting amount on Act Blue as a reference to the 119th House District. Wiedower received $1,000 from Friends of Sam Teasley of Marietta, $1,750 from Bella Maria of Bogart, $1,000 from Tom Griffith of Watkinsville, $1,000 from All Bright Electric of Bogart, $1,000 from Courtney Elder of Watkinsville, and $1,000 from J. Russell and Associates of Athens. Wiedower’s report lists $2,600 from Creighton Kelly of Roswell, $1,000 from Mark Martin of Athens, $1,000 from Dave Mulkey of Athens, $1,000 from Carl Nichols of Athens, $1,000 from Billy Pitman of Athens, and $1,000 from Jon Williams of Athens. Wiedower is a custom home builder, and many of his contributors are in the building and development field. Wiedower made his loan to his campaign on Sept. 15 and had not paid any of that amount back as of the Oct. 30 filing. Strickland listed only $910 in contributions. Of the $910 in contributions, $110 were of $100 or less, meaning the identity of the contributor isn’t required to be listed in the report. Strickland did list $100 from Carrie Charles in Tampa, $200 from David Fox in Suwanee, and $500 from Rick Strickland in Winder. Strickland paid $485 to himself in partial repayment of his $9,000 loan to his campaign. A total of 164 voters cast ballots in Oconee County today (Monday), the highest number in the first 12 days of early voting. On Saturday, 117 voters took advantage of the only weekend day for early voting. The county lists 25,298 Active voters as of Oct. 10, the closing data for the Nov. 7 special elections. As of the end of day today, 1,253 voters had cast a ballot, or just less than 5 percent of the Active voters. The Special Election in the 119th House District was called after Republican Chuck Williams stepped down after being appointed director of the Georgia Forestry Commission. You might want to get your facts right. Houston does not live with his parents and has not for years. Thank you for the comment. If you can provide me with Houston's address, I will be glad to use it. Gaines only lists a post office box as his address on his Campaign Registration Information, but Spokeo People Search indicates he lives 250 McWorter Drive. Again, it would be ideal if people commenting on the blog generally and on the elections posts especially use their names. I'm curious about Marcus Wiedower's funding for this race as it relates to his last campaign for Oconee County Commission. If I recall, he had a significant contribution from either an individual or organization from the development community in Nevada. Are those funds still in his campaign war chest? His communications are certainly well done (fliers, signs, etc). Wiedower has a separate account for his old campaign for county commissioner. The last filing on the state Ethics and Transparency web site for that account is from Oct. 24, 2016. At that point, the account had a balance of $14,868. Wiedower's filing yesterday did not reflect any transfers of funds from this old account. He listed four contributions from out of state: $250 from Alexander Williams in Phoenix, $500 from Bob Wiedower in Chicago, $250 from Brock Schnute from Charleston, and $500 from American Federation of Children in Alexandria, Va.
Mr. Gaines has been preparing for this run for quite a while and has held some very successful fund-raising events. The smart people with the smart money are certainly putting their money with their mouths are, which is a really good sign for conservatism. Meanwhile, for Ms. Gonzalez: "$2,600 from the Latino Victory Fund of Washington, D.C."